Welcome to Clow's Christmas Trail! Take a drive through the countryside and when you come over the large hill on Hallecks Road you will be taken back to your childhood with the magic memories of Christmas! We have taken our love of decorating for the holidays and decorated a 1.5 km trail through the woods. 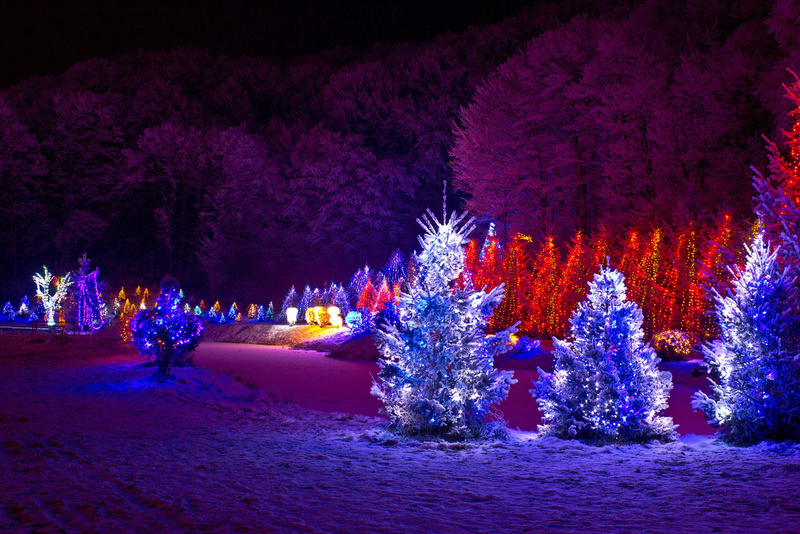 Our hope is to bring Christmas cheer to families simply by spending time together at our outdoor wonderland. On the trail you will visit the many Christmas displays such as the Nativity Scene, winter sports lane, the North Pole post office, the Candy Shop, Elves Lodge, Santa's toy shop and many other scenes along the lit path. There may even be special visitors walking the trails! As the trails are in the woods be sure to dress for the weather as it can be very cold during the Christmas season! From our family to yours, may the Christmas season bring peace and happiness to your family! Be sure to check our Facebook for special hours and announcements!